Over 40 species of Zieria are endemic to Australia and Zieria smithii occurs in north-east Queensland and southwards as far as Tasmania along the coast and ranges. I have been growing quite a few Ziera for many years in my garden in the northern Sydney suburb of Westleigh. They are best in shady, dappled light position present in many mature gardens. They need a good prune after flowering and then rarely reach 1.6m high. 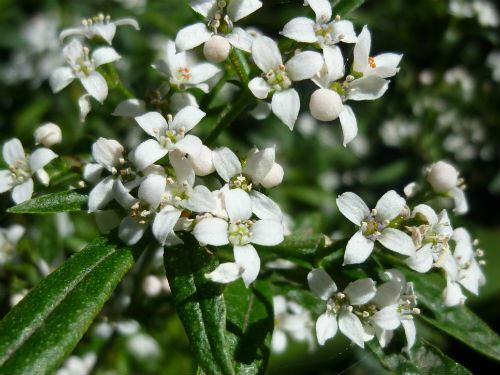 The small white flowers, about 10mm in diameter, are borne prolifically in spring. The plant propagates easily from cutting or seed. 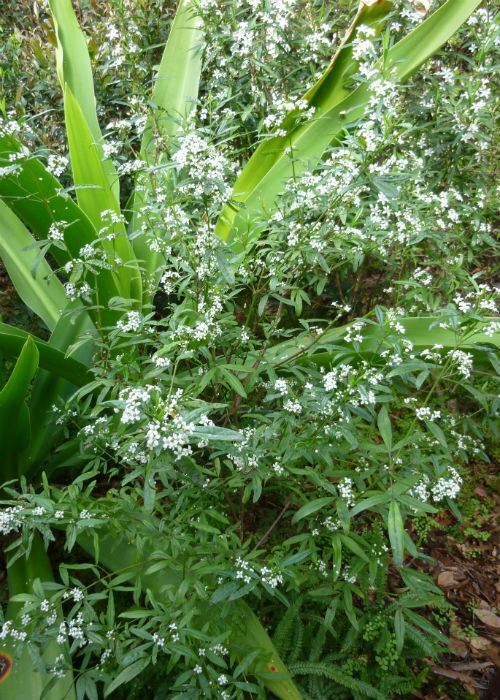 This plant has been grown by the home gardener for many years and I found an article in the Brisbane Courier of Sat 30 Aug 1930, by Estelle Thomson, about growing this plant. Zieria: Named for M. Zier, 18th century Polish botanist. 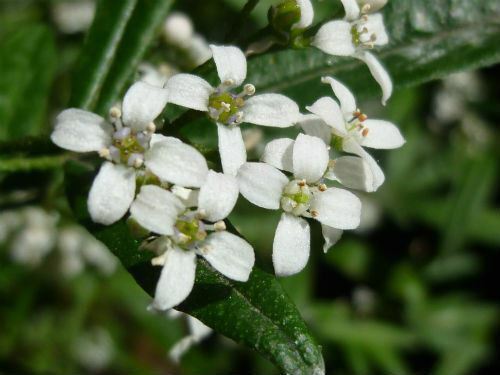 It appears the common name arose from its use as an insect repellent. When the leaves are crushed, they secrete bitter aromatic oil high in safrole, which is not particularly pleasant to me. These oil glands are quite noticeable in the close up photos attached.